Greetings friends! 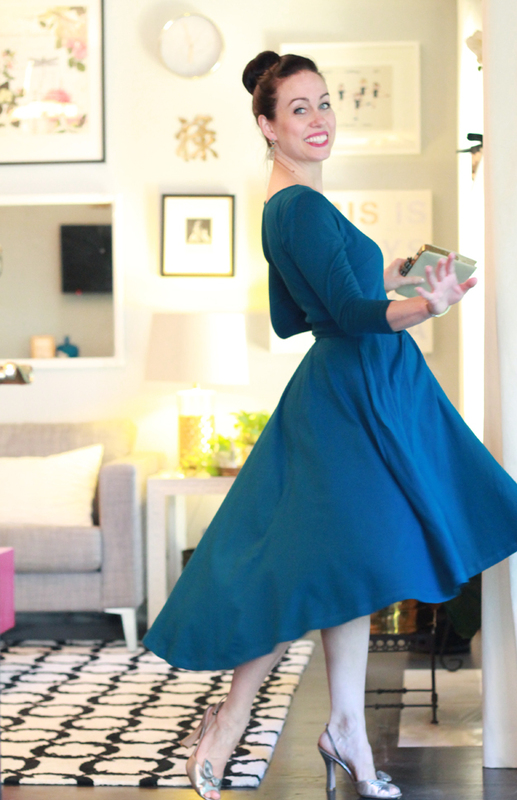 It's been a little while, but when eShakti wants me to review a dress, I answer the call! This is probably my favorite of all the dresses I've received from them, mainly because of the wrap styling (ahem, appeals to my DvF aesthetics). The fabric is a substantial thick cotton with stretch and the full skirt has a lovely drape. I chose the custom option of 3/4 sleeves - the stock option is elbow length sleeves. In addition, I input my own measurements and this dress fits beautifully! The custom measurement option is only an extra $9.95. I always feel fabulous in eShakti dresses because they fit so nicely and are extremely well-made of very nice quality fabrics. Thank you so much for dropping by!